and limescale (hard water) buildup. SGG TIMELESS® is typically not coated on both sides of the glass. Therefore, installers can use the RD1680 instrument to verify the TIMELESS® coated surface is on the interior of the enclosure. Prevent the loss of time and money involved with repairing an incorrect installation, and protect your reputation by doing a professional job. You can also use the instrument to test the glass in front of your customers. This gives them assurance that the glass is installed properly. 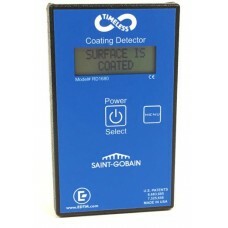 If the OPTO-CLEAN software detects the build-up of dirt on the lens of the meter that could affect the accuracy of the measurement, the meter displays a warning that instructs the user to clean the lens. The warning stops once the lens is cleaned, so the operator knows the meter is working properly. Under normal conditions, the meter rarely requires calibration. In the event that a calibration becomes necessary, the meter can easily be calibrated in the field. Error protection is built-in to confirm that a valid calibration has occurred. Typically, there is no need to send the meter back to the factory for calibration. This saves money and prevents down time. 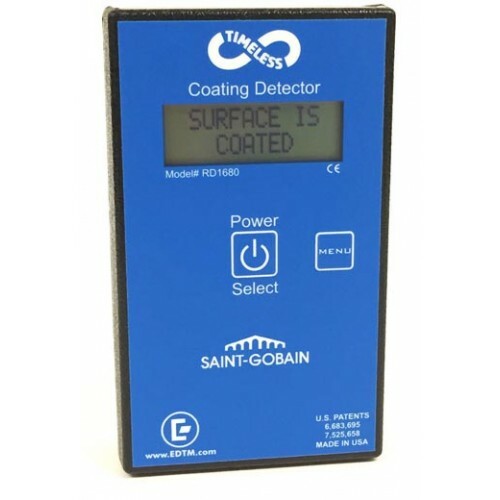 ShowerGuard Coating Detector Quickly Identify ShowerGuard® Coatings in Production or at Installation Guardian ShowerGuard® glass protects itself from corrosion and hard water buildup. ShowerGuard® is not coated on both sides of the glass. Therefore..